So what the heck is the Widowlution? 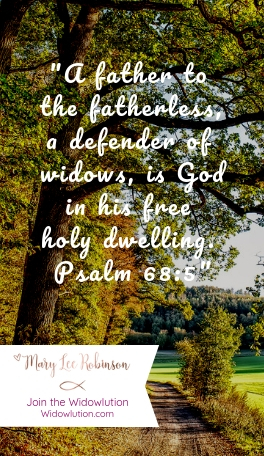 As I see it, the Widowlution is a new way of looking at widowhood. It’s a movement to alter the way people look at widows. Our society has grown a tendency to button-hole widows into some very narrow expectations. We are seen as old, suddenly wealthy, clingy, perpetual downers, home-wrecking husband-stealers, and generally unpleasant to be around. One new indicator of the skewed expectations is the compulsion of well-meaning friends and family to urge us to take off our wedding rings. Really? Why is that anyone else’s business? We are also, and heart-breakingly, sometimes shunned, without being told why. We think we are the only ones. We aren’t. Not by a long shot. The world has changed, and seldom do we receive the considerations we need from our communities. So what do we do? We break free of the stereotypes and rebel. We define ourselves for ourselves. We learn to survive, and more…we thrive! We and only we (with our faith as a guide) define what kind of widows we want to be. We toss aside the expectations the world puts upon us and find ways to cope and conquer our challenges on our own terms. We redesign and reinvent ourselves to be our best selves. I think that woodpeckers are a splendid symbol for the Widowlution, don’t you? Woodpeckers keep at it. Woodpeckers don’t give up. Woodpeckers triumph! Won’t you join me, as we become the women we are meant to be…living fully, purposefully, triumphantly and joyfully again? © 2019 Widowlution, All rights reserved.